The director added that young people should take the time they need for training and to be self-taught, giving this advice to the young students of film and media who packed the Café Filó to hear him at the Juan Bosch Library. The Spanish actor, special guest of the 7th Dominican Global Film Festival (FCGD), also reminded aspiring actors when entering the world of acting not to forget that the main tools in these projects are the body and the voice. With a burst of candor, he said that 99 percent of actors are like everyone else; they work when they can and they don’t have the luxury of only accepting the roles they consider interesting or high quality. He also touched on the argument that one is born with acting ability in the realm of fantasy. In his case, he said he came late to acting. “I wasn’t raised with that fantasy,” although he admitted that when he first entered the world of acting, he felt the weight of the legacy of his mother, the actress. 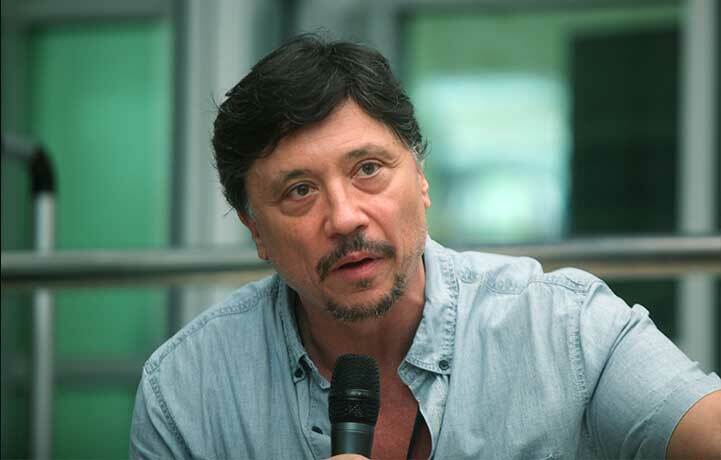 Film critic Brando Hidalgo was Bardem’s moderator in the discussion that provoked many questions and answers from the actor, who was sincere in saying that when he is given a script, he reads and rereads it, and he gets into a mode in which he becomes really unbearable. Lover of literature and writer, with five books published, Barden also addressed the issue of the difference between the film as a spectacle and film of the authors, explaining that the first makes use of techniques that are written and in which money is invested, while the second involves people who want to tell stories, achieving a more personal approach through what they write. When asked about Dominican film, he said he wasn’t familiar with it because his first connection with the country is this invitation from the FCGD. However, he said the initial phase of any local film industry is difficult but also beautiful.